Fantasy Premier League How will ties be decided in FPL mini-leagues? The destination of the Fantasy Premier League title, competed for by more than 5.9million managers worldwide, could depend on Pierre-Emerick Aubameyang (£10.7m) on Sunday. Second-placed Faisal Idris is the only member of the current top-10 managers to own the Arsenal striker. 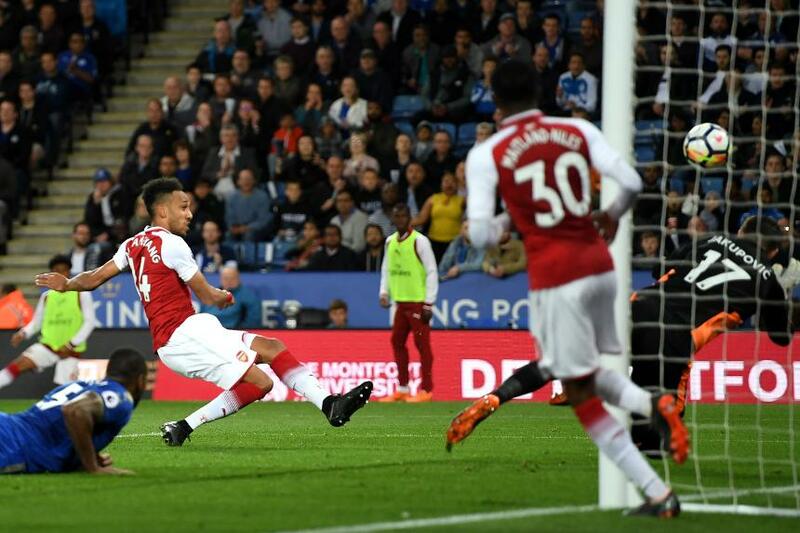 Aubameyang has more goals than any other forward since his first match in Gameweek 26 (nine), and he was responsible for Faisal's recent rise up the ranks. By choosing Aubameyang as his captain in Gameweek 37, scoring 46 points, the Indonesian manager has moved to within seven of world No 1 Bharat Dhody. Bharat has spent 17 consecutive Gameweeks in the top spot. The Indian manager holds Gabriel Jesus (£10.4m) alongside Harry Kane (£13.1m) in his frontline, though the Spurs striker is also in Faisal's squad. Bharat must now choose to either cover Aubameyang or hope that Jesus can match his points on the final day. Both managers will have to address their goalkeeper. David De Gea (£5.9m) is currently in each of their squads and set to be rested by Manchester United Gameweek 38. Mat Ryan (£4.6m) sits on Bharat’s bench ahead of a testing trip to Liverpool. But injury doubt Kasper Schmeichel (£5.1m) is the back-up for Faisal, so he looks forced to address the situation. Back in third place, Henri Aar from Estonia will rest his title hopes on Marko Arnautovic (£7.1m). Present in 6.7% of FPL squads, the West Ham United midfield is his major differential over the top two. However, it is FPL’s top-scoring player, Mohamed Salah (£10.4m), who could still tip the balance. None of the top five managers own Salah for his final fixture with Brighton & Hove Albion; he features in just two of the top-10 squads. But Henri is best-placed to bring him in. The Estonian manager is likely to be considering a swap for Eden Hazard (£10.5m) in his midfield, without having to spend points on an extra transfer. Similarly, fourth-placed Paul Gee has kept £1.8m in the bank and will consider swapping Salah in, perhaps for Dele Alli (£9.0m). In contrast, overall leader Bharat would have to take at least one points-deduction if he wants to reverse his sale of Salah in Gameweek 33. But he has taken risks at crucial times. He spent 12 points on transfers in Gameweek 37, helping him record a score of 100 with his Bench Boost chip. Meanwhile, second-placed Faisal faces a similar predicament; he too would have to spend points to recruit Salah and cover a possible charge from Henri and Paul. But he has been bold with his strategy to this point. He has spent 52 points on transfers, more than any other manager in the top 10.